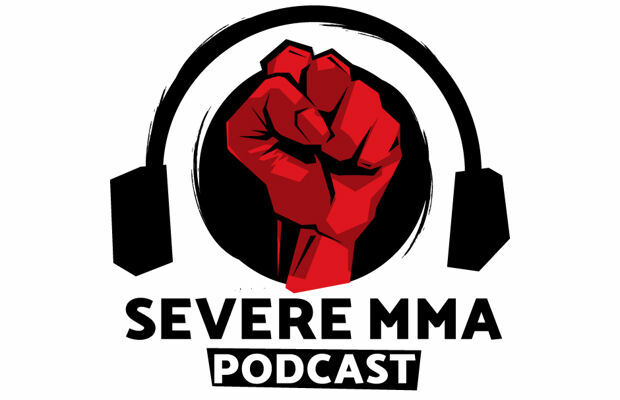 Rush Fight Academy’s Gary ‘The Dumptruck” Morris spoke to PETER CARROLL and discussed his first MMA outing against fellow debutant Conor McGregor at Cage of Truth 2 on Saturday March 8, 2008 in the Trinity Sports and Leisure Centre in Dublin. 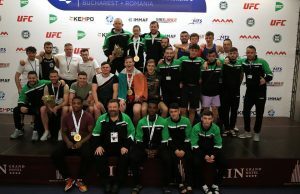 Ring of Truth was the first reoccurring MMA promotion in the Republic of Ireland that gave many of the scene’s heroes their first taste of mixed martial arts competition. 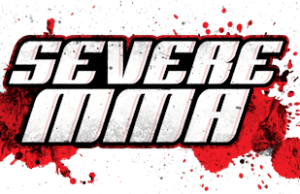 The John Kavanagh promotion had its last outing under its original banner on July 28 2007, before reemerging as Cage of Truth on November 24 of the same year. 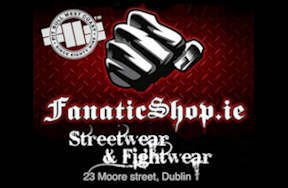 In the second installment of the newly titled promotion on March 8 2008, Ireland’s latest combat sensation, Conor McGregor, met Gary Morris in a bout that pitted two debutants against each other. “I only had one amateur fight before that, I fought Peter Wilson, he was with EFR at the time,” recalled Morris. “I think I had been training for six to eight months before I took the fight with McGregor. “I had a black belt in judo and had competed a lot, then I met Paul (Cowzer) and obviously he had a boxing background, so we used to train together down in Jackie Skelly’s place at the time. We went from there to Rush Fight Academy. 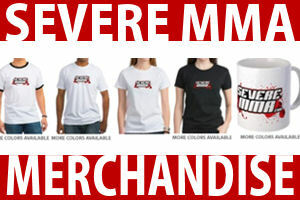 “MMA was completely different from judo because first of all, you aren’t wearing the gi. Some of the moves like the hip throws and stuff, they aren’t very commonly used either, except at the very top level. Really, judo isn’t used that much in MMA. “It was very good for submissions, I found I was quite comfortable standing and on the ground. It was different for boxers coming into the sport because as soon as they were put on the ground, they were uncomfortable. Same for BJJ guys, when they get in to MMA they’re not too confident standing up. Morris spoke about his initial thoughts on the McGregor matchup when he was offered the bout and highlighted that the only information that he had on the Dubliner was his previous pugilistic experience and his club affiliation. “I knew he was a boxer, that’s all I knew. He was just another guy, at the time we were just two young lads looking to fight. 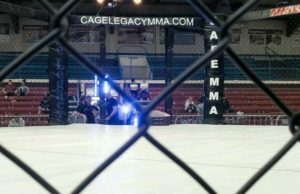 I remember when I went in to the cage he was waiting there in his boxing shorts, for some reason I’ve always remembered that. Unable to recall squaring off for a weigh in, Morris believed that the weigh ins took place in separate locations for the event. However, although the fight happened nearly seven years ago, Morris remembers quite a lot of how the bout played out. “He was obviously in the southpaw stance, but his style was a lot different,” Morris explained the early style of the notorious featherweight. “Nowadays, his boxing is a lot cleaner than it was back then. I remember a lot of wild overhand lefts. Conor was a lot wilder back then, he wasn’t as disciplined. The Paul Cowzer product revealed that his meeting with McGregor helped to solidify his ring name, ‘The Dumptruck’, after his coach began referring to him by the alias after his amateur debut against Wilson. 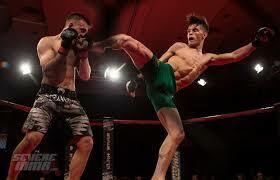 He said: “I remember at one stage he was on his back and he went for an armbar. It was pretty tight. Paul had named me ‘The Dumptruck’, back in the day because when I fought Peter Wilson, he caught me in armbars and triangles and I was picking him up over my head and smashing him into the ground. McGregor took a TKO victory in the second round on the night and Morris highlighted his belief that the bout may have had a different ending had it been contested these days, claiming that the finishing blows had struck him in the back of the head. He said: “I don’t even know how far we were into the second round when they stopped the fight, but the only thing I can remember is the finish and I can definitely say that if it was now it would’ve been different. “The finish was straight punches to the back of the head. He had my back, I was flat on my stomach and the punches were in the back of my head. It would be different now with the referees, the sport is more regulated now. Given the championship trajectory and celebrity status of his former opponent, Morris commented on how it feels to look back at their 2008 meeting. “It is strange in some ways, and it isn’t in other ways. In one way I look at it like, at the time we were just two young lads. Then I look at it on the other hand and say, I wish I hadn’t of been injured that long! “The two of us are training a long time. Obviously there is a lot more natural talent when you’re talking about someone like Conor, but you just hope that there are a lot more people that can make it to that level in this country. Although previous Facing McGregor subjects have seen their careers directly impacted by their meeting with the SBG fighter, with the bout taking place so early in Morris’s career, the RFA man maintained that it was like any other meeting between two debuting fighters. 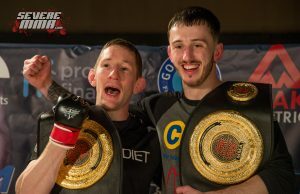 Morris, who hasn’t competed since his 2011 loss to Connor Dillon for the Battlezone FC title, spoke about the injuries that have led to a long absence from competition and how he hopes to make a return this year. “I fought Brian Moore before the Dillon fight and I was carrying a small injury in my hand into that one. I actually reinjured my hand during the Moore fight and that’s why I feel I lost both of them fights. My hand wasn’t the reason for the loss, but it did affect my cardio and things like that. My skill might’ve let me down at the time as well. “Before the Connor Dillon fight all I could do was shadow box for four weeks. No wrestling, no sparring, no bag work, my range was off – everything was off – and I went in and lost the fight in the third round. “Everything happens for a reason and mentally that has changed my approach to everything and mentally, I feel I’m 100 times the fighter that I used to be. Even now I’ve been back training for a good while and I can safely say I’m better than I have ever been. I’m looking to get a fight very soon, as soon as possible really,” he said. “I love what he’s doing. I’d be one of the people defending how he goes on. After our fight I’ve bumped into him a few times. We’d see each other around and he would always have time for me and come over and talk. “A lot of the stuff people get upset about is showmanship, but he is very respectful. I love how he goes on, I love how he does things and afterwards he’s always respectful. Even after his last few fights he’s always thanked his opponents even though they might have hated him up until the fight.